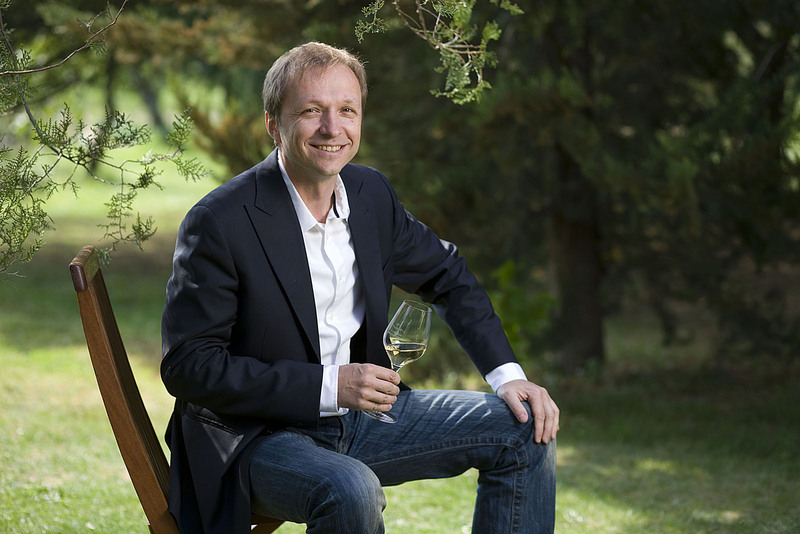 The world-famous winemaker Ivica Matosevic and well-known Split caterer and joker Zeljan Radman decided to create a “house wine” of the restaurant “Pimpinella”. 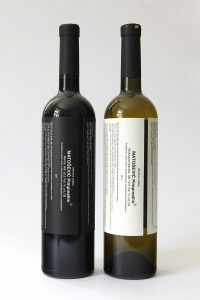 Label design basically communicates the fact that drinking wine in limited quantities is medicine, and is designed in the form of typical medicinal instructions, with minimalist aesthetics. Text was designed to humorously reinterpret all relevant remarks of such instructions, not only because the restaurant is known for its specific humor, but also to raise the mood, appetite and thus better digestion. Label affixed to the bottle rotated 90 degrees enables easier reading of long lines of text, makes the bottle more elegant and artistic throughout it’s range, where the aesthetics of the text in the direction of falling drops of wine contributes relaxation, creating a whole, unique aesthetic, despite the apparent association to medicine instructions. 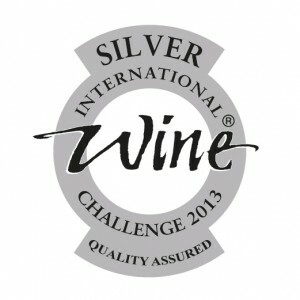 Inversion of black and white signifies the red (black) or white wine. Name of the wine “Pimpinellin” (with the extension “in” as association to typical two-letter extensions in drug nomenclature) is devised for the “house wine” within the series of “Matosevic” brand of wines. 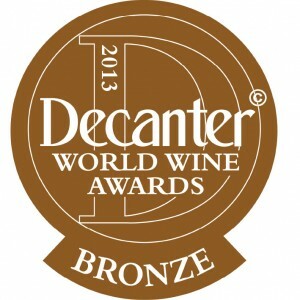 Steven Spurrier, British wine expert and the living legend of the global wine scene, wrote an informative and affirmitive article about Croatian wines in The Tasting Panel Magazine (Nov 2013). 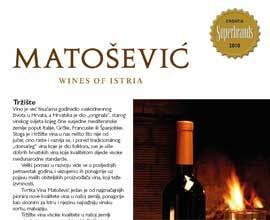 This is a good promotion for Croatia as wine country, and we are especially proud of great compliments given to Matošević Winery. You can read the whole article here. Caro Maurer wrote a big story on the wine scene of Istria, for the Austrian leading food & wine magazine Der Feinschmecker. He also visited Matošević Winery. Here you can read the original article. Međunarodna organizacija Superbrands jedini je globalni i neovisni autoritet na području brandinga. Prisutna je na 4 kontinenta i u 88 država širom svijeta, čiji je glavni cilj identificirati vodeće brandove na svakom pojedinom tržištu te, na taj način, dodatno promovirati disciplinu brandinga. Tom Harrow is a wine writer and presenter, consultant and events and vineyards tour host.What he said about us in his article “The Haute Seat; Luxury postings from the top” please read on the website.